Louisiana Gov. Bobby Jindal took a pummeling for his national debut, but his wife, Supriya, is still one of the party’s hottest rising stars. 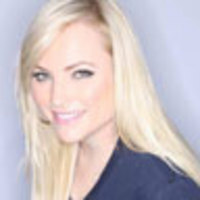 Meghan McCain talks to her about their marriage, her reaction to the negative press on the speech, and why her husband converted to Christianity. Plus, why the GOP needs to stop focusing on its next leader and how Bobby delivered one of their kids in the bathroom. In the last few weeks, I’ve been writing about figures in the GOP that I do not think positively represent the party. But I am also consistently asked about women I do think are positive role models within the Republican Party—and my mind always seems to jump to Supriya Jindal, wife of Louisiana Gov. Bobby Jindal. At 37, Bobby Jindal is the youngest governor in the US and Supriya, who is also 37, is the youngest first lady. She was born in India—her mother was a stay-at-home mom, her father an engineer—and moved to Baton Rouge when she was four years old. She worked in a chemical plant in Louisiana while earning her MBA from Tulane. She married Bobby in 1997. Unfortunately, Bobby’s recent response to President Obama’s national address received mixed reviews, putting the governor and his wife in the media spotlight. Last summer, I met Surpriya when the Jindals came to my family’s cabin in Sedona, Arizona. It was a meeting much talked about in the media, in part because other high-profile politicians from the Republican Party were also present. I’ve been around politicians my entire life and immediately the Jindals, and more specifically Mrs. Jindal, stood out to me. I was nervous and uncomfortable with the meeting (there were media vans parked directly outside our cabin and the whispers that my father had not yet chosen a running mate lingered in the air), so I just assumed some of the guests were as well. But unlike the usual guarded presence one often gets with the wife of a governor, Mrs. Jindal was warm, friendly, and humorous. She arrived wearing casual pants and a fleece. I took a liking to her instantly. Not much has been reported about Mrs. Jindal, so I traveled down to Baton Rouge to interview the woman I met in Sedona. Although politically Mrs. Jindal and I may have our differences, I found a woman who is open-minded and realistic about the future of the GOP. For so many reasons, she and her husband represent the American dream—and I wouldn’t be surprised if they just might represent the future of our party. What is your favorite part about being the first lady of Louisiana? I never envisioned myself in any form, shape, or way in politics. When I first met Bobby, he was working for the governor of Louisiana and I always thought he was going to go back in the private sector. And lo and behold, one thing led to another and he was running for governor and it has just been this amazing thing. For me knowing how he can help move our state forward is what really got me excited. I always tease him that I never wanted to do this. But he is touching so many lives and making a difference all across the state and that is the most amazing part about what he is doing for me as an outsider. To be able to travel across the state and meet so many amazing people has been the best part. One thing that I have discovered going on the campaign trail is that it doesn’t matter what kind of an education you have, how big your house is, or what kind of car you drive or what color you are, what party you belong to, what religion you are. None of that matters. At the end of the day, everyone wants the same thing for their families and their children. They all want a better life for their children. We have all these labels and things, but we are all working toward the same goal: We all want a better life for our family than we have for ourselves. Do you have a least-favorite part? Oh, wow. It’s exciting, it’s tiring, it’s hectic, it’s crazy. I think the hardest part is that Bobby misses out on time with our family. He does the bedtime stories and rituals and all these things to make sure he has quality time with them, but he misses out on a lot of the day-to-day. There is a lot of meaning in the everyday sometimes. I think I feel bad about that for him because I think he misses it. How are your children dealing with the increased media spotlight and pressure? You know, our kids are so young, they don’t understand it very much. It’s going OK. It’s a little crazy sometimes because it is not something I ever imagined doing or being a part of in any way. It’s something that has taken a little adjustment to, but the wonderful thing is that people have been so nice and wonderful. I have had such a great experience I can’t really point on anything negative because there is so much positive. Your background is really fascinating to me because you are so educated. Why chemical engineering? [Mrs. Jindal looks over at Gov. Jindal’s communications director] She freaked out at me one day because she saw me doing a Sudoku Samurai. Oh my gosh those are so hard! I can barely add! You do those for fun? I’ve always been drawn to math and science, even as a child. Growing up, my dad was an engineer and some of my uncles were engineers. So when it came to college, I thought, I will give this engineering thing a try. I always wanted to go to law school and be a patent attorney or a corporate attorney. Once I got into it, I decided to work for a while and just loved it. When I reconnected with Bobby, I was wearing a hard hat and steel-toed shoes and I was climbing vessels every day and working strange shift hours and nights. I had an odd schedule, but I loved it and had such a wonderful time doing it. I went on to get a business degree. Would you ever go back and finish your PhD? Bobby is always nudging me to go back but I haven’t had time. Well you’ve been a little busy! [Laughs.] Maybe one day it will get done. Right now, I am just trying to encourage, especially children, to pay more attention to math and science. Sometimes I think kids think it’s not fun or it’s not cool. There are so many opportunities for children with math and science now. Look at the medical field, look at the digital field, look at the videogame industry. You have to have a math and science background to develop the software for these programs. ... So I am trying to spearhead that and encourage other children. With your foundation [ the Supriya Jindal Foundation for Louisiana’s Children], correct? Yes, I started a foundation. One component is just focused on math and science. So I will be going around the state, going into classrooms helping to do science experiments. I am also having an astronaut come with me to some of the classrooms this week. Dr. Sally Ride, the first American woman in space! I went to Space Camp twice as a child and wanted to be an astronaut growing up. I am still a fan of hers. So what happened along the way that made you change your mind about becoming an astronaut? See, something happened. As I got to high school, I was told I was bad at math and got discouraged. See, and there is no need for that. I am sure you were great. So I love when you first met the governor, he asked you out, and you said no. The same thing happened with my parents. Well, we met in high school. He was a sophomore in high school and I was a freshman and I didn’t really know him. He tells me years later that he had a crush on me in high school. He would find out where my classes were and follow me. Hang out by my locker, that kind of stuff. Do you remember him from high school? I remember him but I don’t remember that. [Laughs.] He used to tell his friends that "I really like her, I really want to ask her out," but he never had the courage to ask me out. Well, he finally did at the end of our high-school year and I told him no. I was literally moving from Baton Rouge to New Orleans, which is only an hour away but when you’re 14 or 13 or however old we were, it’s forever. So, I turned him down, and he now says that taught him to take risks and take challenges because had he asked me earlier, I might have gone out with him. [Laughs.] So, I have created this monster. But then we all went our separate ways, we went to separate colleges and did our own things. Later, I was working for the chemical plant and he was working for the governor and he had a Mardi Gras ball to go to. His date canceled the week of the Mardi Gras ball, so he went back to his little black book from high school and thought, "I wonder what ever happened to her." He knew I had moved to New Orleans, so he tracked me down and left me the funniest message on my machine. You know, the questions were, “If you’re not married, call me back.” So, I called him back and we had a great conversation and he invited me to the ball and I went. We had a wonderful time. Yeah, the waiter came with a note saying he wasn’t coming. And I was with my friends and had to tell them that this amazing guy that I just met wasn’t coming. So he finally asks, “Are you ever going to go out with me?” I said, “Yeah, I’m just busy, you know”—my little shrug off. And he said, “When are you not going to be busy?” I said “in a month.” I was working on my master's at the time and working nights and working crazy schedules. I won’t be free for a month. He says "a month" and takes out his calendar: "I want to book you in a month for Friday, Saturday, and Sunday. I want to book you for those three days." So I said, “OK.” So that weekend, he calls and asks if we were still going out and I said, “I guess so.” So we went out and had a wonderful time. We were engaged about a month later, it was pretty quick. How’d you know he was the one? I think it was one of those things where we had a wonderful time when we were together but we also had a wonderful time talking during those six months with our phone conversations, getting to know each other and so when we finally were together it made it all right. It was good. It’s a crazy story. One thing that I think is really interesting about you guys is that during the election, President Obama’s culture was so much a part of his narrative, stump speech, rhetoric, and books. But with you and the governor, your culture is there but it’s not as emphasized as much as it was with President Obama. Is there a reason? Well, you know, we share with our kids about their ancestors and why they decided to come to America, and they have created this wonderful life for themselves here. They were able to raise their children here. Like we talked about earlier, they were able to create a better life for their children here than they had growing up. The reality is, is that we were raised as Americans. The American dream is alive and well and that is what we try and teach our children. We can do anything in America, especially in Louisiana. You can grow up to be an astronaut or whatever you want to be in this country. I think we instill it in that way with our family. It is not something we hide or aren’t open about. Obviously, when talking about your family comes your faith and your Christianity. I think people are curious about how much a role it plays in your life. Both Bobby and I are converts to Christianity. For him, it was very much an intellectual journey. He read and studied. It really began when his grandfather passed away. He began to question, well, where did he go? What happens when we die? Is he in heaven? He began to really study and understand what religion really was and what Christianity really was. He followed that path to conversion through his intellectual search. For me, it was more of a spiritual search. It was more of understanding why people convert, what makes them convert. Just reading stories, and talking to people about what lead them to their conversion to Christianity is what led my search. Yes, we raise our children as Christians. We go to church on the weekends. We say prayers every night. How much did your husband have to do with your decision to convert? He was very good about answering questions but not pushing. He was very resourceful and knowledgeable. So whenever I was reading something, he could explain it to me a little bit more. Your husband is the youngest governor in the history of Louisiana and he is the first non-white governor of Louisiana. Whether you like it or not, his name is being thrown around as a potential presidential candidate in 2012. Obviously my family and I know what it's like to feel that pressure. But what is the pressure like for you two, given that people like me and other Republicans need a leader now? Bobby’s focus always has been and should stay, and will stay, on Louisiana. That has to be his first priority and that is his first priority; making a difference here in Louisiana for families here in Louisiana. So all this talk is just talk going around. You know, we will see what happens but he is focused on his re-election here in Louisiana and making a difference in our state. It’s very flattering, it’s very nice, but I think the party as a whole and the country as a whole needs to focus on solutions right now and not focus on who the next candidate’s going to be. All of that needs to go by the wayside. We have dire problems going on in the country and we need to focus on that right now. Did you see the “Kenneth the Page” sketch? No. [Laughs.] How did you feel about some of the negative reaction to the governor’s post-Obama speech? I think everyone is going to have their opinions but I think he did a wonderful job. Everyone is entitled to their opinions and it’s funny because everyone always tells him he speaks too fast and that night he tried to slow it down. And the criticism was that he talked too slow. My advice is just to concentrate on what is going on in Louisiana and don’t listen to what everyone else is saying. Do you have any thoughts on the future of the Republican Party? Where you think we should go? What you think we should do? I think the Republican Party needs to focus on innovative solutions and stop worrying who the leaders are and who the next this-and-that is. We need to focus on getting our priorities right with the problems the American people are facing. That’s the way that you earn the respect of people across the country. I hear your husband delivered one of your children—would you mind sharing that story? That is incredible! My first daughter gave me 36 hours of labor, my second gave me 24 hours of labor. So I thought I had like 18 hours, but nonetheless. Thankfully, Bobby was in the delivery room for the first and the second. So he knew what things looked like and what happened. I had contractions for the last month. They were coming and going. The last week of it, it started getting more regular and more pronounced. I actually went to the hospital twice with false labor. I had gone back home and my daughter’s first day of kindergarten was the next day, so we went school-supplies shopping. Later that night, I was just in pain. I woke Bobby up at 2 a.m. to call someone. So he called the nurse and says, “My wife is in this incredible amount of pain.” So I called my father who lived six miles away from us, and he drove straight over. By the time my father got in the car and drove six miles, I had my baby. We were in my home. Bobby was so sweet trying to make me comfortable. He was on the phone, the doctor was on the other end and she was walking him through how to tie off the umbilical chord. The police officer and my father arrived at the same time. You didn’t have any medication or anything? Oh my gosh, I can’t imagine. You’re a strong woman! But it obviously was an experience that must have brought you even closer. It did. It was one of those things that only draws you closer. You can’t go through something like that and not become stronger in your relationship with one another. It did. It was a great thing for Bobby to walk out and say, “Congratulations, you have a grandson” to my father. Our second child was born with a heart defect. So a component of [having a child a home] that was scary was that we had a child with a heart defect, but thankfully she was healthy. How important do you think fashion is in politics? You know, it’s one of those things. We as women always want to look nice and presentable, but there is a balance there. I am very much a sale shopper and off-the-rack shopper. I love getting shoe deals. I was at the outlet mall yesterday and I took my son to buy a pair of shoes, and people were commenting, “You shop here?” But I’m a normal mom, you know! I do normal things. I think there is a balance wanting to look nice, but look nice on a budget. I try to get in some exercise every day—that helps clear my mind a little bit and gives me a bit of my own time. A bit of cardio and free weights. I also enjoy reading and spending time with my children. I try and take them to various festivals. Louisiana is home to a lot of festivals. Every weekend we try and plan something fun to do with the kids. Finally, is there any message you want all our readers to hear since this might be one of their first introductions to you personally? One thing that I always tell groups, especially young women: They need to stay true to themselves and believe in themselves. I mean, you had teachers that told you you weren’t smart enough. We need them to know that we as a state believe in them and I believe in them and they need to believe in themselves, too. I always tell groups of children to follow their dreams and believe they can do it.